The French composer Étienne-Nicolas Méhul (1763-1817) is not particularly well-known nowadays. 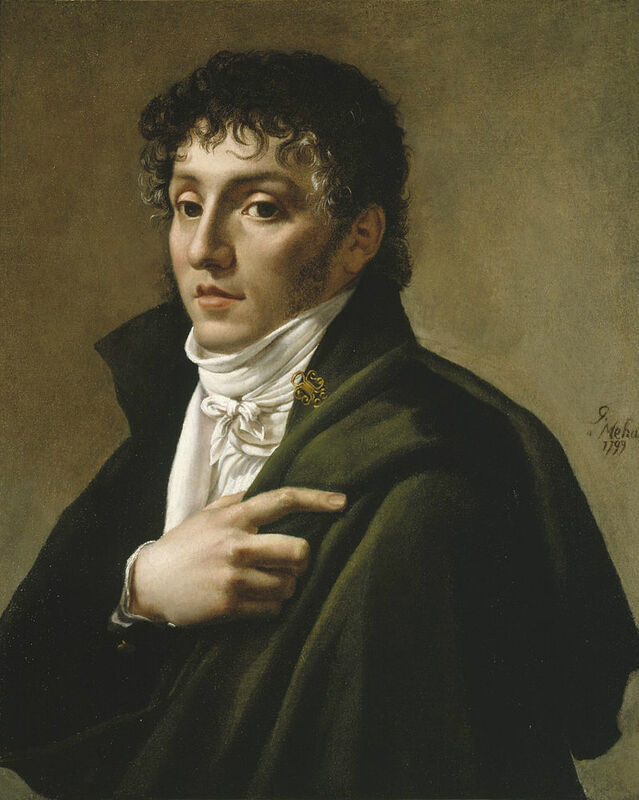 He was a friend (and rival) to Cherubini and took Gluck's operatic reforms and applied them to Opera Comique. Popular and important during the Revolutionary period, Méhul's early death seems to have hindered his popular reputation. But perhaps that is about to change thanks to Palazzetto Bru Zane. Méhul's opera Uthal is being released on 24 February by Palazzetto Bru Zane. And on Friday 10 February at St John's Smith Square, Palazzetto Bru Zane and Orchestra of the Enlightenment are presenting a gala concert entitled Méhul: the first Romantic. Jonathan Cohen conducts the Orchestra of the Enlightenment with tenor Michael Spyres in arias and overtures from Méhul's operas plus his Symphony No. 5, alongside music by Gluck, Beethoven, Mozart and Salieri. Full details from the Orchestra of the Age of Enlightenment website.